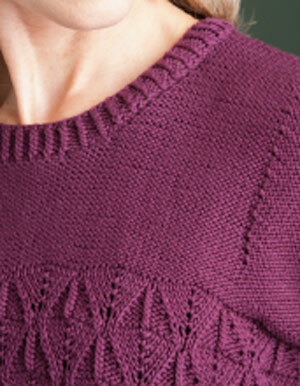 The next Finish-Free Knits sweater is the Calm Tee. 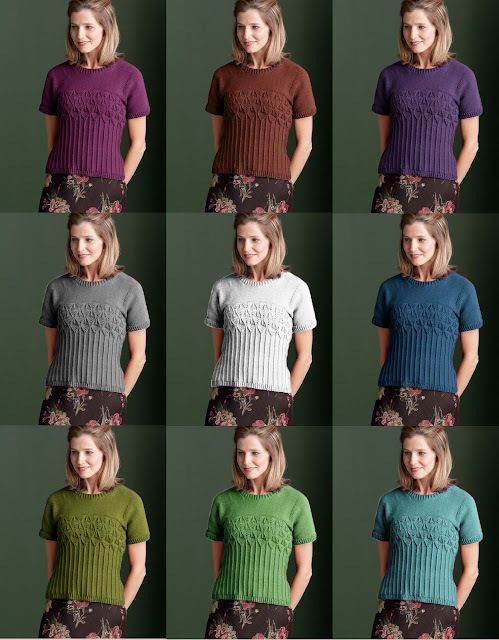 The body of this comfortable pullover is worked in one piece from the lower edge to the underarms, at which point the front stitches are placed on holders while stitches are cast on for the back sleeves and worked with the back in a single piece to the shoulders. Stitches for the front sleeves are then picked up and worked with the front to the shoulders. For a cool-weather variation, simply cast on more stitches for longer sleeves. 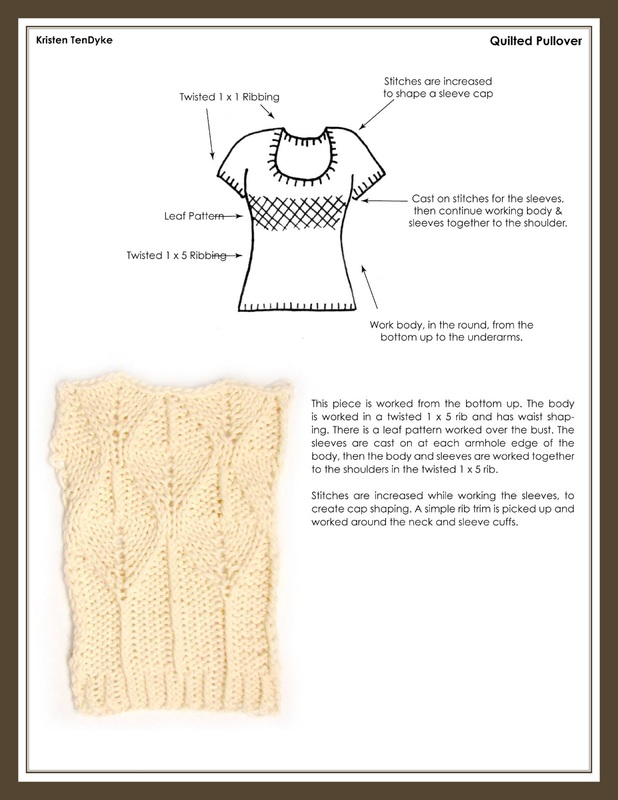 With this type of construction—casting on for the sleeves and knitting them at the same time as the body—it's common for the garment to look like a T when it is completed. The sleeves stick straight out from the body to each side. My problem with that is we never wear sweaters with our arms sticking straight out like that—at least not very often. Most commonly, we have our arms down by our sides. If we are wearing a T-shaped garment, while our arms are down by our sides then there will be some stretching over the shoulders, and puckering at the underarms. I like to avoid that whenever possible. As you can see at the top of this sweater, there is some shaping along the upper body where an "armhole" might generally be found. 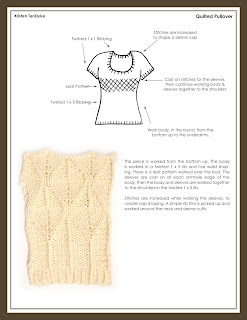 As the sweater is knit from the bottom up, stitches are increased for this armhole shaping, allowing for fewer stitches at the underarm, and adding stitches at the shoulder. photoshoped into a bunch of different colors.